This is a pretty recent memory, not even a year old at the time of writing. But it is very illustrative of how the same place can be both most enchanting and most awful, depending on the time of the day. The village of Oia on the northern tip of Santorini island is among the most photographed and recognizable places in the world. In season, it attracts an incredible number of visitors, since barely anyone would not think of it as a must portion of a first-time trip to the Greek Islands. The narrow pathways of central Oia become impossible to navigate in July and August. The west-facing edge of the village grinds to a complete halt in the evening as revelers take up every inch of public space to watch the sunset. 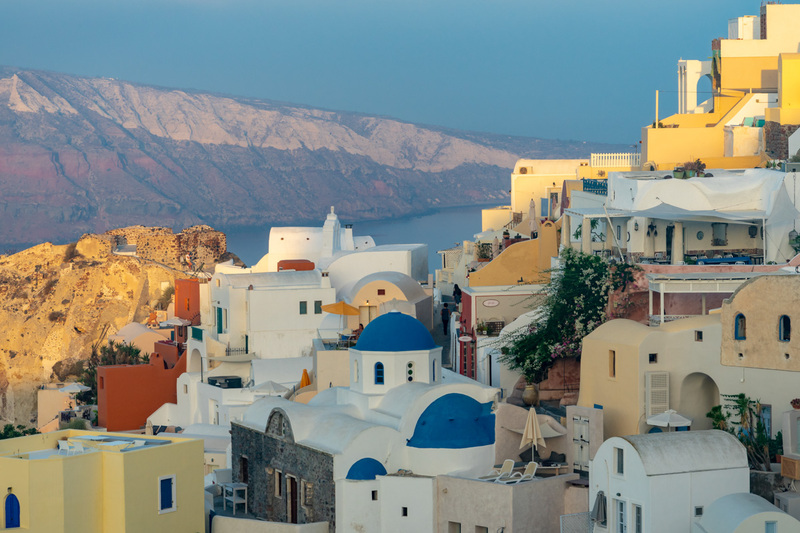 But if you get up before sunrise, you will share the streets of Oia only with a few dozen of the most dedicated photographers. You will not have to prioritize dodging passerby over letting the village enchant you. You will not have to jostle for the privilege of commandeering a good vantage point. You will find the slow advance of the morning sunlight over the rooftops entirely mesmerizing. And, if you are like me, you will enjoy being able to take as many pictures of Oia’s brilliant perspectives with as few people in them as ever possible. That early-morning walk went a long way to temper my nearly formed impression of Oia as an awfully overcrowded place not worth the accolades. I would still stop short of putting Santorini at the top of my favorite places in Greece, but having Oia nearly to yourself without any crowds is a stellar experience. This is how I want to retain it in my memory.